Oatmeal Crispies are the classic oatmeal cookies you remember from childhood ~ crispy on the outside and soft and chewy inside. Add nuts, raisins, or eat them plain, they’re just perfect! Hi all — welcome to my Reader’s Recipes series of holiday cookies. I’m going to be sharing YOUR family recipes here every Saturday from now until the New Year. Thanks to all of you who’ve sent in recipes for me to try! I’m really delighted with this recipe. They’re super easy to make, and they bake up perfectly crisp on the outside, chewy and slightly soft inside. I like how oaty they are, too, and that’s because there’s twice as much oats in the recipe as flour. It feels like you’re eating ‘real food’, and I can see why Virginia was asked for the recipe over and over. 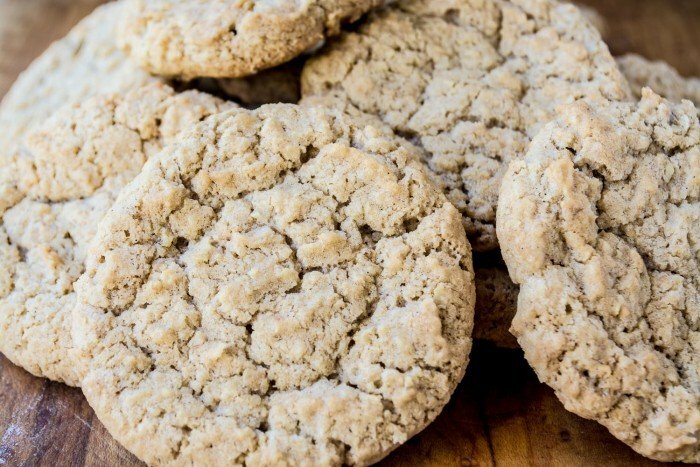 She says that these cookies really saved the day when a family member developed cancer and oatmeal crispies were one of the few things they would eat. Virginia found herself making a batch a week for months. The recipe makes a large amount of cookies, so I couldn’t help but experiment a bit. I separated out half the dough and added some giant yellow raisins and some crunchy walnuts. Delish. Raisins were never on my radar until recently when I picked up some gorgeously plump local raisins at my farmers market. You’ve got to check out non-mass produced, or specialty, raisins when you get a chance, lots of supermarkets carry them now, and they’re worlds away from the dried up little guys we all grew up with. This is an old fashioned cookie that really is as advertised — perfect! 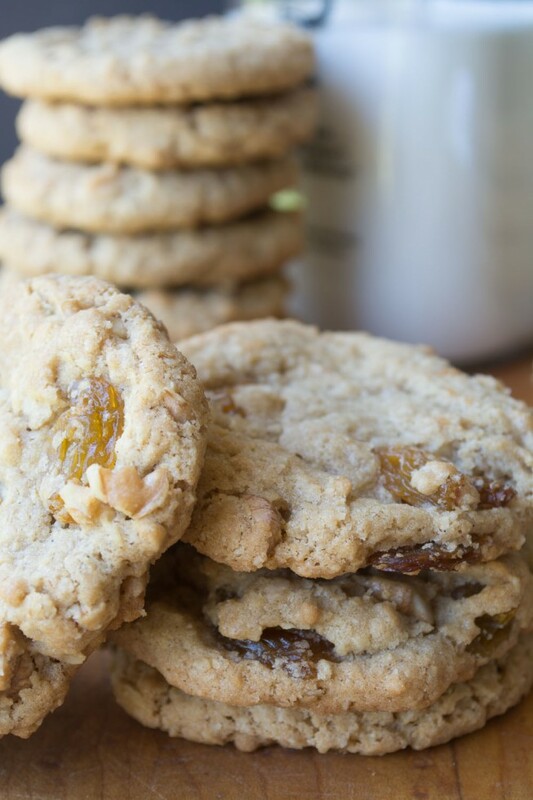 They are comforting and satisfying, and if you like oatmeal cookies, these are for you. The recipe is from Taste of Home. 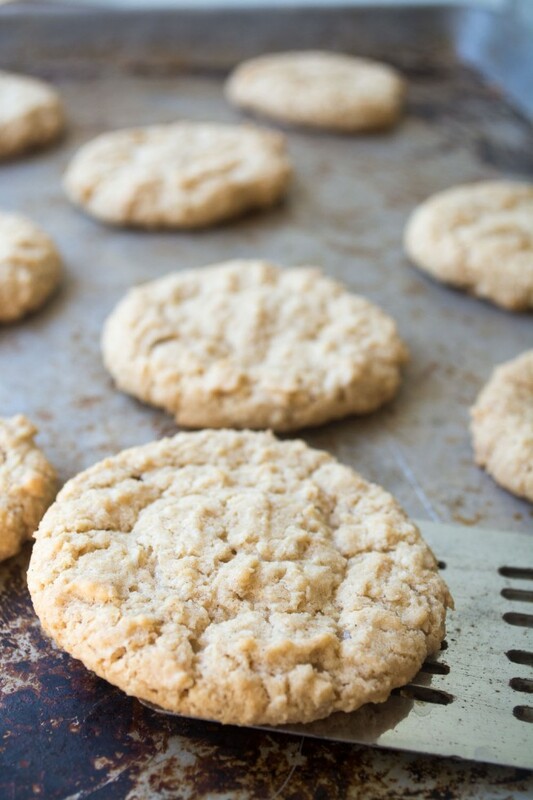 Oatmeal Crispies ~ these cookies are super easy to make, and they bake up perfectly crisp on the outside, chewy and slightly soft inside. I found 12 minutes worked like a charm for baking. Be aware that they don’t get real brown, and look slightly underdone at the 12 minute buzzer, but will firm up as they cool. At the risk of sounding like a broken record, use FRESHLY grated nutmeg, it makes such a difference! I don’t use shortening in my baking all that often, but when I do I usually use Crisco Butter Flavored Shortening. If you’d like to vary the recipe, 1 cup each raisins and chopped walnuts worked well. Next time I might be tempted to try chocolate chunks. I think these cookies would work well with a basic gluten free flour mix because of the high proportion of oats in the recipe. 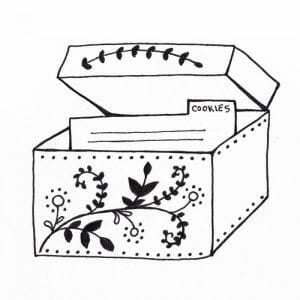 These cookies are very sturdy, making them a great choice for gift giving, and shipping. Virginia says the baked cookies freeze and thaw beautifully. Can rolled oats be substituted? I find that the quick cooking oats appear to be so “processed” these days that I have stopped buying them. 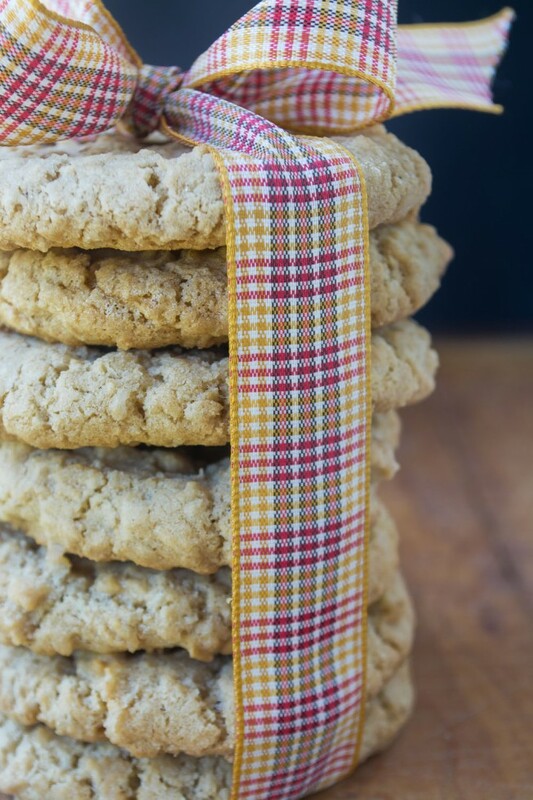 I have been searching for a good oatmeal cookie recipe and can’t wait to try this one! Oatmeal cookies are my favorite! Would coconut oil work instead of shortening? I haven’t tried it but it’s worth an experiment Lynn, just be sure the coconut oil is in solid form. Just made these and they are wonderful!! I did use the butter flavored Crisco and tried fresh nutmeg for the first time— amazing!! I did get 6 dozen cookies out of the recipe using the 1 TBL measure. I love that I made a fresh nutmeg convert!!! My Friday so needs an oatmeal crispie. Love these! I know I am going to love your new series Sue, I’m a huge fan of oatmeal cookies. I’m so glad people are responding to the idea — and I know there are some real great recipes out there! I’m so glad you took the time to write in Terri! I am glad you added in the spices, as I’ve been eating these cookies (every night after dinner!) I’ve been noticing how I love the combination of the two. When I was writing up the post I did see Pioneer Woman’s post, and she made no mention of Taste of Home, so I wonder if it is an old recipe. 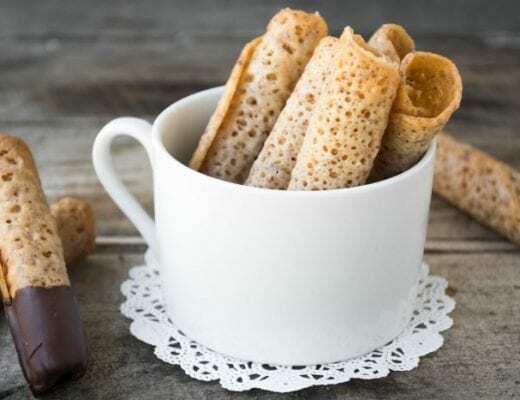 I really really love these cookies and I wouldn’t be surprised if it was a very old, time tested recipe. Thank you for sharing your experience using butter. I wanted to use butter instead and I’ve been searching to find if that would work as well. Now I won’t make that mistake! Thank you! A neighbor lady who used to run a bake shop in our small town (and who’s always called upon to make rolls and pies for church dinners!) says that one of her secrets is to use butter-flavored Crisco. Good to know! I just stumbled on it and started buying it because it seems a little more appropriate than the white stuff, for baking ;) I have to say I like the texture that shortening gives to cookies, a lot! 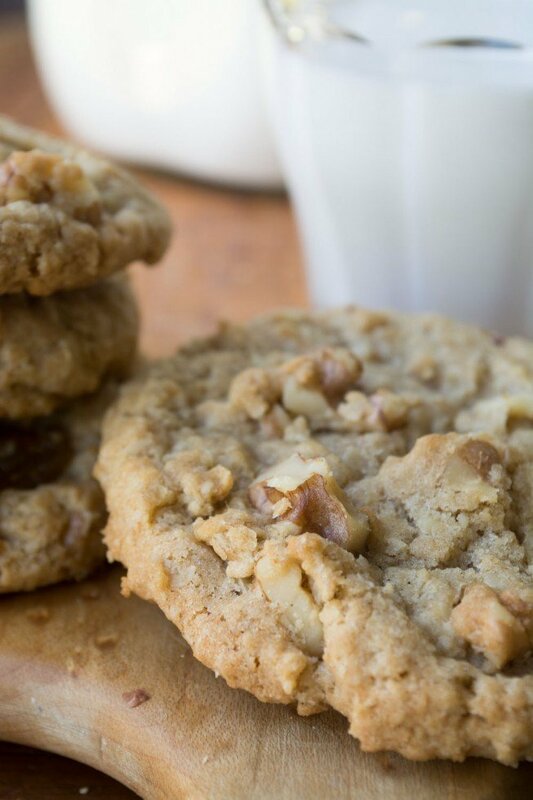 Crisp, yet soft and chewy…that’s what a perfect oatmeal cookie should be. These look fantastic, Sue. Thanks Angie — I highly recommend these! 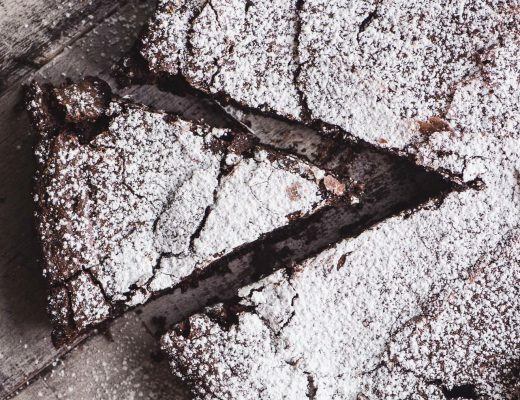 I love this project your running, I can’t wait to see what other kind of reader’s recipes you’ll be sharing. 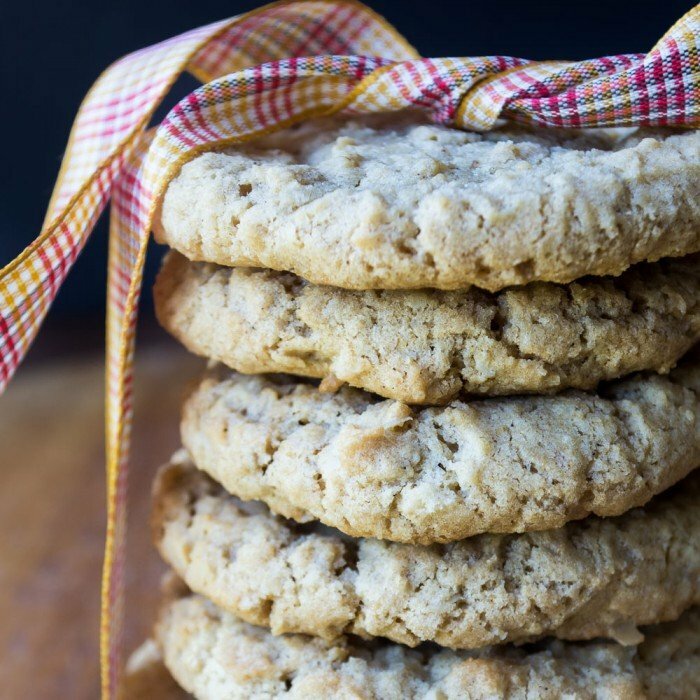 Oatmeal cookies are a favourite of mine and these look wonderful, so thick and chock a block full of yumminess. I can tell I am going to love this series. It is so much fun to interact with readers. I love seeing what they send. These look great! This definitely looks and sounds like a treasure. 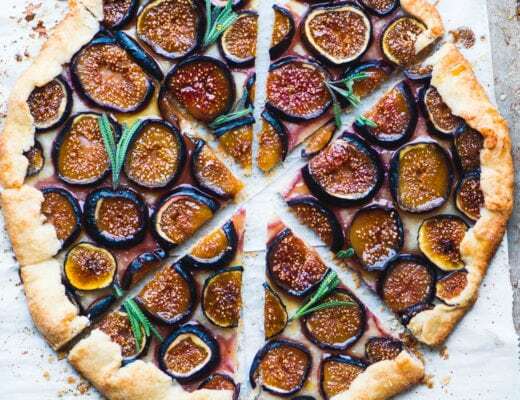 I love finding recipes like this that are tried and true! Pinning! Thanks Tricia :) I really didn’t like raisins very much for most of my life, but I’ve rediscovered them! A silly shortening question: I don’t use it. Can I substitute butter instead? You can definitely use butter, but I think the texture will be crunchier, and they might spread a bit more. I love all your variations!